Special delivery: Chris Budd OBE talks about his prestigious appointment as a Gresham College lecturer. Nobody could claim that Chris Budd OBE isn’t committed to his subject. 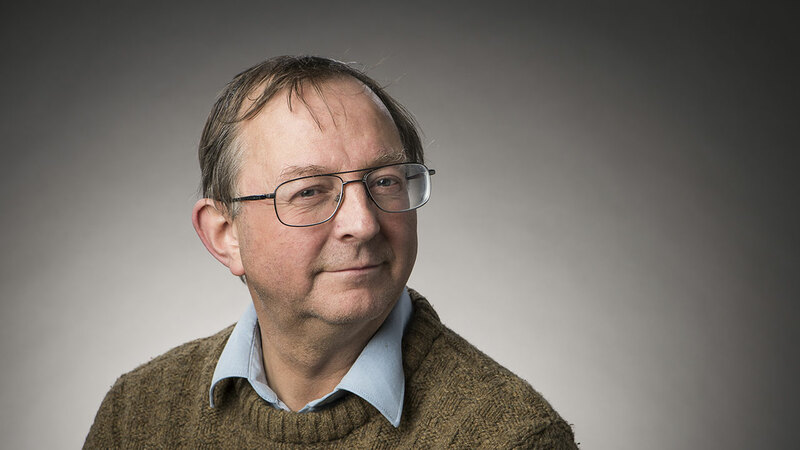 Having held the role of Professor of Applied Mathematics at Bath for more than two decades, he’s also the University’s Director of the Centre of Nonlinear Mechanics and, in 2001, devised the award-winning Bath Taps into Science festival. That’s not all. Long engaged in the public understanding of science and mathematics via bodies such as the Royal Institution, Chris is Chair of the United Kingdom Maths Trust, a former Vice President of the Institute of Mathematics and its Applications and holds the illustrious post of Gresham Professor of Geometry. In short, he spends a huge amount of his time inspiring both adults and children while explaining what mathematicians do, and was awarded the OBE in 2015 for services to science and mathematics education. ‘Academics appointed by Gresham College are required to devise a four-year programme of free one-hour lectures for members of the public,’ explains Chris. ‘It takes me around two months to write each one, and I’ve now delivered 12 of my 24 proposed talks. They’re organised in six-month batches, with a break of six months in-between, and I submit titles in the abstract to be approved a year in advance; they already have them for the final dozen in the series. Chris’s titles for 2018 include 'Chaos Theory', 'Climate Change' and 'Maths in the City', so their content is very varied. The proposed 2019 series includes a lecture entitled 'Saving Wales and Curing Cancer' – there’s a connection, Chris assures us! – and another called 'Maths Goes to Parliament'. Previous Gresham professors include astronomer Sir Christopher Wren (who went on to design much of London) and Robert Hooke, the first Chair, in Newton’s time. For 2019, Professor Budd has devised a lecture called ‘500 Years of Maths’, to tie in with the 500th anniversary of the birth of Sir Thomas Gresham the Elder. He was a powerful figure who rose to prominence when he moved from Norfolk to London via the University of Cambridge. Amongst his own merchant activity he acted as principal financial adviser to four successive monarchs from Henry VIII to Elizabeth I, and founded the London Royal Exchange in 1566. Gresham bequeathed money that led to the creation of the eponymous college in 1597, in his former mansion on Bishopsgate, stipulating that seven professors should read lectures – one each day of the week, and all free – in astronomy, geometry, physic, law, divinity, rhetoric and music. It was, for some time, London’s only source of higher education. In 1991 the College was relocated to Barnard's Inn Hall, near Chancery Lane, and the organisation’s symbol remains a golden grasshopper, which was the heraldic device on Sir Thomas’s coat of arms. ‘Unlike the children or university students I usually teach, the audience at Gresham mostly comprises highly qualified professionals in their 60s. This means I can throw a lot at them – perhaps three or four times more information than I’d deliver in a school lecture. For each one, I also supply a downloadable transcript that’s published on the Gresham website, and you can also listen to it on their website. They get about three million people watching YouTube videos, too, mostly from the US, so there’s a huge audience. I’m also talking to a publisher about delivering my lectures in the form of two books. One will be called The Making of the Modern World and the second will be something like Maths in the Making of the Future World – I haven’t quite decided! It’s an incredibly exciting time to be working in maths, with big data, quantum computing, complexity and so on. ‘My work has multiple sources and threads for multiple audiences. After delivering lectures at Gresham, I re-draft them for a more generalist adult audience. Then I split each one into three parts, to be published on a website called Plus Magazine after being simplified by the editor, Marianne Freiburger. She makes sure the content is accessible for older children who are interested in maths, probably aged about 16 and over. I’ve had 1.25 million hits so far for an article called 101 uses of a Quadratic Equation! ‘Even Marianne’s audiences are not the youngest people I teach - every Saturday for the last 30 years, I’ve led workshops for Year 9 pupils at local schools. They’re Royal Institution masterclasses, and particularly able children, especially from state schools, are selected by their teachers to attend six sessions. That said, far more people access them from social media than attend in person. ‘I got my OBE in 2015, before I started at Gresham, both for my work with the general public and with these children. Also, I founded Bath Taps, part of the Bath Science festival, about 20 years ago – which is still going strong – as well as courses for undergraduates, called Communicating Maths, to enable them to spread the word, too. While the dominant part of what Chris does as a Gresham Professor is writing and delivering lectures – with a view to showing how relevant maths is to all our lives – he’s regularly invited to events like the Lord Mayor’s Dinner, or at the City of London and Glassmakers Guilds. ‘It’s somewhat strange for me, as an academic, because I have to wear a tie! But I get to sit next to some very interesting people, such as knights of the realm, who advise government and could influence policy. I enjoy the interaction with all different types of people, and especially like it when they come up to me or write to say they’ve learned from my lectures. ‘My other contribution to Gresham includes founding another annual event: a joint lecture between them and the London Mathematical Society, for whom I was Education Secretary about ten years ago. It’s still going and today we secure very high-profile speakers, so it’s become quite an important date in the calendar. I’m very proud of that. ‘I suppose I have two careers: I’m a fully trained youth worker but am also an industrial mathematician, and all my life I’ve managed to combine the two. My personal interests are in chaos theory, meteorology and climate change, so basically I work in weather-predicting and maths education. Other popularisers of maths – lecturers, teachers and people like Marcus du Sautoy – have come to doing this through different routes, including theatre. Brian Cox even made physics popular through television, but TV isn’t my scene really. I just try to motivate and excite people in every lecture. If I’ve done that, I’ve done my job.